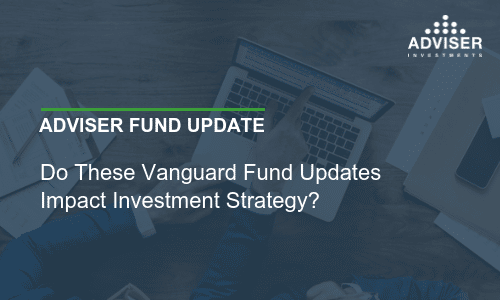 Starting in August, Vanguard will give fixed-income investors the opportunity to do so with a single exchange-traded fund (ETF) at rock-bottom prices. But how big of a difference will it actually make in your portfolio’s return? Vanguard filed paperwork last week in preparation to launch Total World Bond ETF. The new offering will mix two existing ETFs—the $197 billion Vanguard Total Bond Market ETF and the $106 billion Vanguard Total International Bond ETF—upon its early August debut. Total World Bond ETF will aim to track the Bloomberg Barclays Global Aggregate Float-Adjusted Composite index, a broad measure of the global investment-grade fixed-rate debt market, containing government, corporate and securitized bonds with maturities of more than one year. As of March 30, 2018, the index comprised 44% U.S. bonds and 56% from overseas. Total World Bond ETF doesn’t mark Vanguard’s first foray into the “fund-of-funds” realm, in this case, an ETF-of-ETFs. Total Corporate Bond ETF, which hit the market in November 2017, mixes three other Vanguard bond ETFs. Learn more about Vanguard Total Corporate Bond ETF. The benefit of these funds-of-funds? As with most things Vanguard, lower costs. The blended ETF can trade at tighter spreads at a cheaper price than a direct investment in the separate components. How’s that work? The two funds that compose Total World Bond ETF collectively hold $303 billion in assets, giving the new offering the scale to mimic its benchmark closer than if it was a new fund starting from scratch. Total Bond Market ETF costs 0.05% and Total International Bond ETF has a 0.11% expense ratio. By combining the funds, Total World Bond ETF offers exposure to the entire global bond market for an estimated 0.09% expense ratio. For investors looking for a fully diversified basket of investment-grade bonds from around the globe, you can’t find lower costs on the market. But do U.S. investors really benefit from this type of diversification? A closer look suggests that adding foreign bonds to a diversified portfolio of investment-grade U.S. bonds doesn’t really move the needle very much compared to holding U.S. bonds exclusively. Let’s check the historical record of the mutual fund upon which Total Bond Market ETF is based. From January 1990 through the end of 2017, Total Bond Market Index returned 397%, with a maximum loss of 5.0% from an all-time high to a bottom before a new high was reached (also known as a “drawdown”). Now we look at a 50-50 combination of Total Bond Market Index and foreign bonds (using the Bloomberg Barclays Global Aggregate ex-USD Hedged index before the mutual fund Total International Bond’s launch). That blend returned 407%, with a maximum drawdown of 5.4% over the nearly three-decade stretch. Sure, the foreign exposure improved performance slightly. But the magnitude of the improvement—less than 0.10% per year—isn’t what you’d call dramatic. Most investors would be hard-pressed to feel that impact in their diversified portfolio. On top of that, remember that we’re talking ETFs here, not mutual funds. Investors don’t buy and sell at net asset value, as they do with mutual funds, but at whatever price the market sets. That 0.10% outperformance might be improved upon. It could also disappear completely. It’s a simple, one-stop solution for fixed-income investors looking for yield in all corners of the globe at a low cost. But we’re not convinced that this combination of funds is the best approach to globally diversifying the bond segment of a portfolio. Your mileage may vary. Nafis Smith named successor on Vanguard Prime Money Market and Vanguard Treasury Money Market funds. Elsewhere in Malvern, David Glocke announced his retirement from Vanguard effective at the end of June. Glocke is portfolio manager of Vanguard’s Prime Money Market and Treasury Money Market funds. He’s managed Prime Money Market since 2003 and Treasury Money Market since 1997. He will be succeeded by Nafis Smith, who was named a co-manager of the funds in December 2017. We don’t expect shareholders will notice much of a change with Glocke’s departure. One thing to note: Glocke was the only portfolio manager employed at Vanguard with more than $1 million of his own money invested alongside shareholders. Regular readers know that’s a level of conviction we like to see from fund managers, and an investment strategy we’ve embraced at Adviser Investments, where employees invest their money in the same managers and funds as our clients through our 401(k) plan. Our broad take on money market funds is that they are not very good long-term investments, but they are useful cash management vehicles. Vanguard’s got a long track record of keeping tight controls and managing risk well in its money-market offerings, something we don’t expect to change with a new manager at the helm. Please note: This update was prepared on Friday, June 1, 2018, prior to the market’s close.